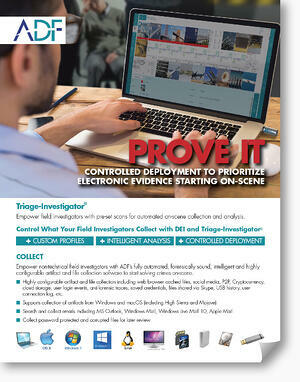 Triage-Investigator® is ADF's award-winning intelligent forensic triage tool designed for field deployment. The software has a proven track record of providing easy and quick access to court defendable evidence to process cases and leveraging investigators to assist forensic labs with rapid collection, analysis, reporting, and managing digital backlogs. 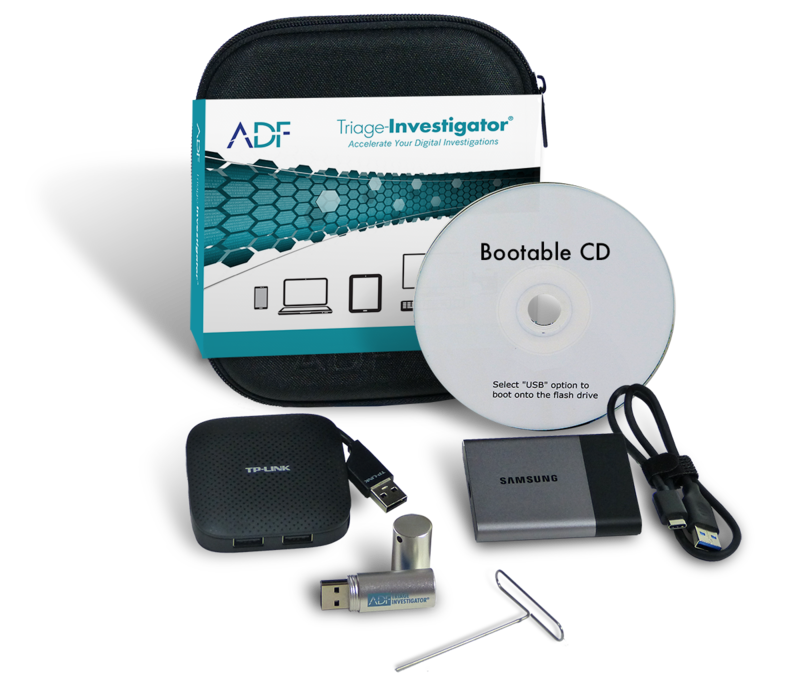 Triage-Investigator® is easy-to-use, easily configurable, supports a wide array of computer hardware, has powerful boot capabilities, is forensically sound, and comes with technical support and regular upgrades. Triage-Investigator is designed to work with Digital Evidence Investigator® (DEI) and provide a digital forensic platform where forensic labs can leverage investigators to collect and process data and analyze computers and digital devices in the field. 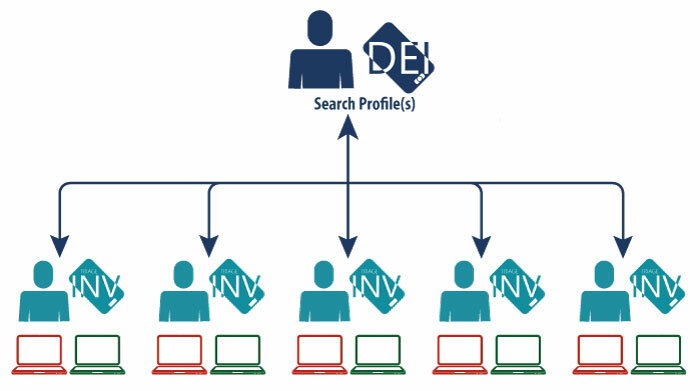 The ADF digital forensic platform enables an organization to control search criteria used in the field. DEI with Triage-Investigator enables organizations to roll out digital forensic software to the field quickly with minimal training and confidence that forensic integrity will be maintained during collection, analysis and reporting. Empower field investigators with pre-set scans for automated on-scene collection and analysis. Empower non-technical field investigators with ADF’s fully automated, forensically sound, intelligent and highly configurable artifact and file collection software to start solving crimes on-scene. Triage-InvestigatorⓇ lets you create a standalone portable viewer for further analysis and reporting for prosecutors and other investigators.